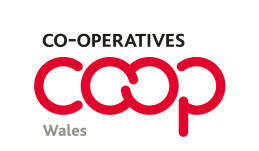 consultancy.coop www.consultancy.coop is a co-operative of experienced third sector consultants based in Wales. It uses a relatively new legal format for co-operatives – the Limited Liability Partnership. The LLP was designed originally for partnerships of professionals, enabling them to gain a more formal arrangement than existing partnerships and for the organisation itself to benefit from limited liability status. Co-operatives UK have adapted the model into a form especially designed for co-operatives of freelancers and other professionals. Its membership is diverse and knowledgeable, with experience over many years operating as consultants and at all levels in this highly specialist sector. They bring a strongly focussed, business oriented approach, coupled with an understanding of, and empathy with, the values and passion of this sector. Strategic & Business Planning – helping you through the process. Feasibility Studies – looking at new possibilities for expansion/development. Grant Applications – from talking to funders to final application. Process Review & Improvement – looking at the organisation’s structure. Refinancing & Restructuring – looking at options and implications. Mentoring for Social Economy professionals. Training in a range of Social Enterprise and Business related skills.